Check out this Tesla Model 3 Performance test drive from LA to Vegas. 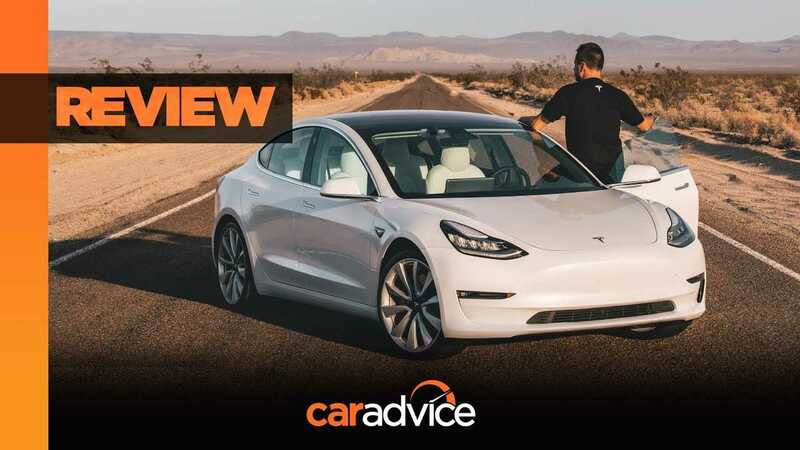 Paul Maric from Australia-based automotive publication Car Advice welcomed the opportunity to come to the states and get in the driver's seat of an all-new Tesla Model 3 Performance. He drove the car from Los Angeles, California to Las Vegas, Nevada to get some solid time with it and utilize the Tesla Supercharger Network. After his time with the EV, he awarded it with a score of 8.8 out of 10. Maric took the opportunity to work the Model 3 over and report on all the fine details. Interestingly, his first observation had nothing to do with the car itself, but rather the Supercharger Network. Australia doesn't offer such a substantial network, so it was refreshing for Paul. Maric has a significant amount to share in the video, as well as in his extensive written review, which is linked below. Check it all out and let us know your thoughts in the comment section. The Tesla Model 3 is taking the USA by storm and it'll hit Australia by mid-late 2019. Paul Maric jumps behind the wheel of the Model 3 Performance for a road trip from Los Angeles to Las Vegas to see how well an electric car performs in a market with dedicated EV infrastructure. To read Paul's entire story, visit CarAdvice.com.